Emergency Dentists USA has the right Chattanooga emergency dentist for your dental problem. If you are suffering from a terrible toothache or a lost filling, you have come to the right place. Scroll through our carefully chosen Chattanooga emergency dentists and select the after-hours dental office with appointments that suit your schedule. Use our 24-hour dental emergency hotline to speak with an operator who is trained to help you choose a great dentist for your dental emergency. He or she can also help you to make your first appointment even if you have not visited a dentist in several years. Great service! They found a dentist for me super quick when I was visiting Chattanooga, I was pleasantly surprised! Emergency Dentists USA provides you with all of the information that you need to select a dentist and set up that first appointment. You can choose Ace Dental in Chattanooga if you are not able to wait for an appointment. Ace Dental provides walk-in dental services for anyone who needs prompt dental care. Also, there are after hours dentists that are available in Chattanooga. Aspire Family Dentistry and Ace Dental Clinic have weekend hours available to their clients. Ace Dental is a great choice as they have Sunday dentist hours as well! Emergency Dentists USA is easy to use, even when you are suffering from a painful dental emergency. Simply scroll through our convenient Chattanooga emergency dentists listed below and choose the dentist who offers the hours or services that you need for your dental emergency. The listing below provides all of the information that you need to select a great dentist, find an appointment time that suits you and visit the office. Description: Call to be connected with the perfect dentist for you. 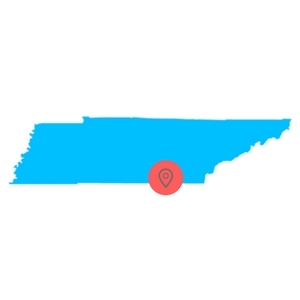 Chattanooga is a large city and we have the connections to find a dentist to fit your needs, and can get you an appointment immediately. Description: Friendly and convenient, Ace Dental Clinic offers walk-in dental treatment for anyone who is suffering from a painful dental emergency. This Chattanooga emergency dental clinic also provides routine care, surgical extractions and even dentures, partial dentures, fillings and crowns that are priced to suit any budget. With a caring staff and well-trained dentists, Ace Dental Clinic has openings for appointments even on the weekends. Description: Located in lovely Chattanooga, Aspire Family Dentistry is open on Saturday to cater to those terrible toothaches that strike even on the weekends. A kind and caring dentist, Dr. Thomas Rumph and his friendly staff greet patients like they are family. This full-service dental clinic offers everything from routine dental services like x-rays and cleanings to specialty services like oral surgery and emergency dental care. One-visit crowns and a variety of implant styles are also on the menu of services at Aspire Family Dentistry. Description: Castle Dental in Chattanooga is an emergency dental clinic that provides all of the routine and emergency dental procedures that you might require, in locations across the nation. From sedation dentistry to a quick emergency appointment, Castle Dental’s three licensed dentists understand your needs and care about your dental problems. A kind and friendly staff and state-of-the-art dental equipment make this dental office an excellent choice for anyone with a dental problem. Description: Located in gorgeous downtown Chattanooga, Dental Partners East Ridge is the smart choice for family dental care. This full-service dental office is open early in the morning on Tuesday and stays open until 7 p.m. The caring and kind dental staff and large selection of offices make Dental Partners East Ridge a very convenient choice for all dental care. Same day appointments are available for patients with dental emergencies, and services include everything from routine cleanings to comprehensive mouth restorations. – Most emergency dentists provide routine services like x-rays, cleanings, and fillings along with more extensive emergency procedures. Try to arrive approximately 15 minutes prior to your appointment time to fill out the necessary paperwork. – Have your paperwork, health records, and insurance information ready. Gather any recent dental x-rays or examinations to help your new dentist determine the best course of treatment for your dental problem. – Make sure you know how you’re going to pay and if the dentist accepts your form of payment, cash, credit, or insurance. Most Chattanooga emergency dentists offer a low-interest payment plan for larger dental services. – Let your dentist know what type of dental insurance you intend to use for your visit. Choose an emergency dentist who is listed on your dental insurance network. – Just like any medical visit, make sure you know if you have any allergies to medicines. Bring a list of all of your current medications with you to visit your new dentist. Some of the most common of all dental emergencies include a terrible toothache or a painful and potentially dangerous abscess. 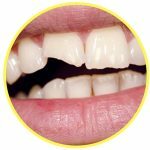 You might also encounter a lost filling or a loose or lost crown, a broken wire or loose bracket on your braces, or even a tooth that is chipped. Every dental emergency situation is unique, so it is important to see an emergency dentist in Chattanooga for any of the common dental emergencies listed below. If you have a toothache, it is important to rinse your mouth thoroughly and then floss the area gently to remove debris. Use a cold compress to relieve pain and swelling on the outside of the mouth. Never place aspirin or another painkiller between the tooth and gum as this can cause chemical burns. 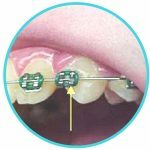 Broken or loose braces and wires are a dental emergency that can be both annoying and painful. Use a small amount of orthodontic wax to attach the braces temporarily to the teeth. Choose the eraser end of a pencil to push the wire into a more comfortable position in your mouth. Use a small amount of orthodontic wax or a cotton ball to cover the sharp end of the wire and to protect your cheek and gum. Never cut the broken wire. A chipped or broken tooth is a common dental emergency that is sometimes embarrassing. If you are able to find the broken portion of the tooth, bring that piece with you to visit your emergency dentist. Rinse your mouth with plain water and use a cold compress outside of your mouth to lessen the swelling and pain associated with the broken tooth. Use a small piece of moistened gauze to stop any bleeding. Worrying about an emergency tooth extraction is often more painful than actually having the tooth extracted. Your Chattanooga emergency dentist is trained to make your dental procedure as gentle and comfortable as possible. It is important to have the extraction accomplished as soon as possible in order to avoid complications that might include a need for extra medications or procedures. The emergency tooth extraction usually begins with an x-ray and examination of the tooth. 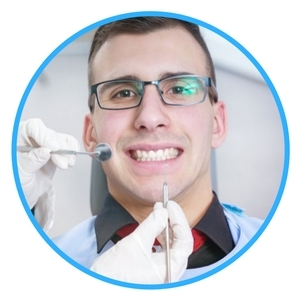 Your dentist chooses a type of anesthetic to keep you comfortable during the procedure. He or she then uses a special tool to remove the tooth from the gum. Sometimes, stitches that dissolve over time are used to close the gum. A small piece of gauze is placed over the gum to control bleeding, and full healing usually occurs within one to two weeks. Following your emergency tooth extraction, it is important to take any medications exactly as they were prescribed. Avoid eating hard foods or drinking from a straw for the first few days after the extraction. Do not drink alcohol or smoke until the gum is fully healed. Your Chattanooga emergency dentist can offer several types of tooth replacements if you wish to have the extracted tooth replaced. A visit to the hospital emergency room is extremely important if your dental emergency comes from a fall, a sports injury, or even an accident. When there could be damage to other parts of your body, like a concussion or a broken bone, visiting the hospital emergency room is the best choice for immediate treatment. Keep in mind that the hospital ER is not really equipped to handle those common dental emergencies like the repair of a broken tooth. Visit your Chattanooga emergency dentist for any tooth problem that involves a common dental emergency. Your dentist is trained to handle any dental problem and his or her office has all of the proper equipment to make tooth repair and replacement an easy procedure. In most cases, the visit to an emergency dentist is less expensive and takes less time than a trip to the hospital ER. The American Dental Association’s website offers information regarding each dentist’s current licensing and certification status. This means that you can rest assured that your dentist is board certified to practice in your state. Choose the Tennessee Dental Association’s website to learn more about Tennessee dental licensing and to get some excellent information about dental products. 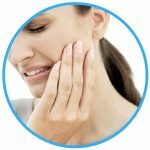 This Emergency Dentists USA portal is a website for information only and should be not used to replace the actual advice of a medical professional. If a patient is having an emergency and cannot reach a dentist, call 911 to assure immediate response and safety.